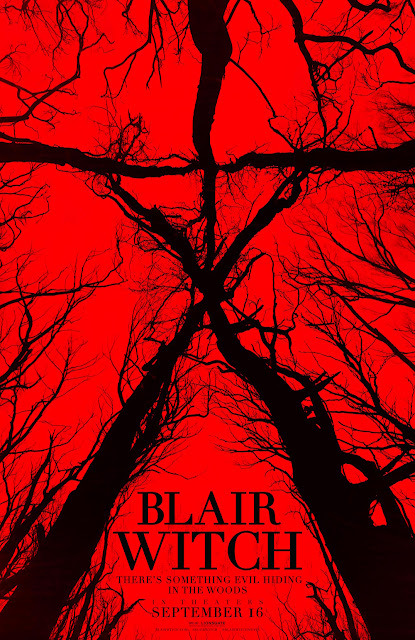 "Blair Witch" (2016) is one of this year's most anticipated horror/psychological thriller films that horror movie fans would really appreciate for its mind-boggling storyline, scare tactics, and high-tech immersive environment. Fans of the old "Blair Witch" film should not really be disappointed with this movie. "Blair Witch (2016)" is as scary and as stressful as before, but not really enough to make us fall and jump scare to our seats, for all we know, because we have watched much better films in the past, which gave us a more stressful and scarier feelings than this. Movie fans of the old "Blair Witch" and moviegoers as well might have mixed emotions while watching this movie due certain things that might become the cause of comparisons between the old and new movies. However, this new film should really be taken as a sequel and not as a remake like most people would do or think. Personally, we find "Blair Witch (2016)" story a bit interesting for the intriguing take of the writers as what they know or refer to as "scary". Somehow, the audience will feel the "curse" of the witch as the story progresses towards the first half of the film. The movie started with a slow pacing, with chits and chats happening here and there. But towards the half of the film, we can feel the slowly but surely progression of scare tactics. The ladderized scary and stressful events ended with a bang, which left more questions unanswered rather than give solutions to the main problem of the film --- hoping to find the sister of one of the characters who has been missing inside the woods and who believed to have been cursed by the Blair Witch. Overall, the "Blair Witch (2016)" movie is as scary as hell and as stressful as finishing your 34th bowl of ramen. It is scary yes, but not really enough to scare us to death like that of what we have experienced in watching other films with the same genre. We give "Blair Witch (2016)" a 7 out of 10 movie experience for the effort in scaring us. Below is the full movie trailer for the new "Blair Witch" movie brought to us by Pioneer Films in the Philippines. See it in theaters starting September 14, 2016.